Staffordshire's fire authority has said it will not increase its portion of the council tax despite needing to make cuts of £4m by 2015. Stoke-on-Trent and Staffordshire Fire and Rescue Authority said it would instead receive a government grant of 3% for 2012/13. This means Band D households will continue to pay £67.64 to the authority for the year. An authority spokesman said it would continue to offer "value for money". 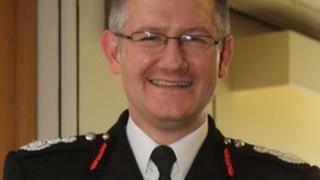 Chief Fire Officer Peter Dartford said two-thirds of savings had been identified through "more efficient ways of working". He added: "Importantly the savings we have identified ensure that community and firefighter safety is maintained." Staffordshire's revenue budget for 2012/13 is £43.4m and includes council tax contributions totalling £24.5m as well as a government grant of £18.9m.